An executive assistant to the chief executive officer (CEO) provides high-level, confidential administrative support to the office of the CEO. Duties may be clerical, administrative and project-based and include scheduling travel, arranging meetings, handling information requests, preparing reports and correspondence and liaising with board members. This position is often privy to confidential information and as such, requires diplomacy and discretion. CEO’s have very busy schedules and heavy workloads. As such, it is the responsibility of the executive assistant to manage his schedule and workload and ensure he is adequately prepared for meetings. Prior to meetings, the executive assistant may prepare the meeting agenda and provide needed background information to the CEO. It is also his responsibility to ensure the CEO is briefed on her daily schedule to ensure she arrives on time and knows where to be. CEOs tend to travel frequently and it is often the responsibility of the executive assistant to arrange travel and logistics. This may include booking flights, car rental and hotel accommodations. She is also responsible for arranging meetings, providing needed background information and completing expense reports for reimbursement after the trip. Executive assistants also may interact with the board of directors. Duties can include scheduling board meetings, handling logistics of board meetings, sending materials for review prior to the meetings, taking and distributing notes and fielding general queries from board members. The executive assistant also provides general administrative and clerical tasks such as answering phones, faxing, mailing, filing and photocopying. She also may be required to arrange logistics for visitors, coordinate conference calls, transcribe notes and type correspondence. While a bachelor’s degree is often preferred, an associate degree may be acceptable with sufficient previous work experience. Employers tend to seek three to five years of experience supporting senior managers, strong computer skills and the ability to type 60 words per minute, manage upwards, handle confidential information and multitask. Personal attributes such as discretion, a high level of professionalism, strong attention to detail, organization and written and verbal communication skills are also sought. Executive assistants often work in a fast-paced office environment and may be required to work overtime and weekends as needed and accompany the CEO on travel. 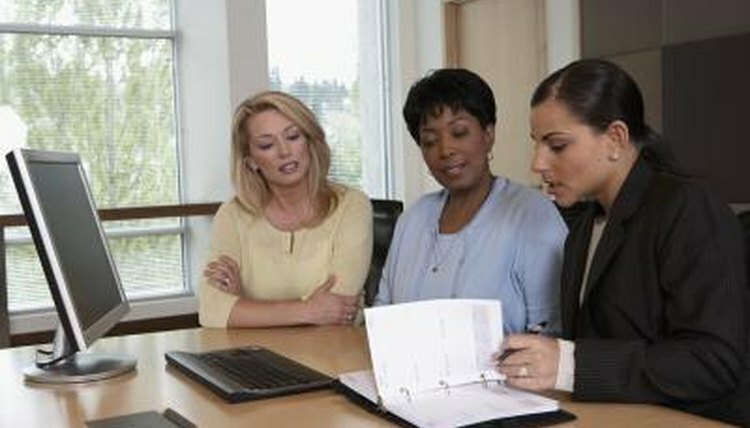 According to SalaryList.com, as of May 2010, the average salary of an executive assistant is $40,000. Hall, Lisa. "The Job Description of an Executive Assistant to the CEO." , https://careertrend.com/about-6581445-job-description-executive-assistant-ceo.html. Accessed 24 April 2019.